Since 1991 we've been publishing a select list of practical guidebooks written by travellers for travellers. Trailblazer authors have a voice and these books are opinionated. They tell it like it is – bad as well as good. We've concentrated on providing readers with information on routes as we believe the interest can be as much in the getting there as in the final destination. The range now includes adventure travel guides, rail guides, worldwide trekking guides and British walking guides. Take a look at our booklist and be inspired! Great to see so many of our readers at the Adventure Travel Show last month and thanks to those who entered our competition to win £50 of Trailblazer guides. And the winner is . . . Carol Wright! Congratulations and please get in touch - if we haven't yet contacted you by email - so you can choose the Trailblazer guides you'd like us to send you. The Thames Path is a national trail running for 184 miles from the river’s source at Thames Head near Kemble to the Thames Barrier in London. The path begins, as the river does, in a meadow in the Cotswolds; its upper reaches lonely and wild. As the waters deepen the settlements along its banks begin to grow in both size and grandeur and, reaching Oxford, the solitude of the river slowly subsides and the trail becomes as much about historic towns, churches, abbeys and castles as it does the river. 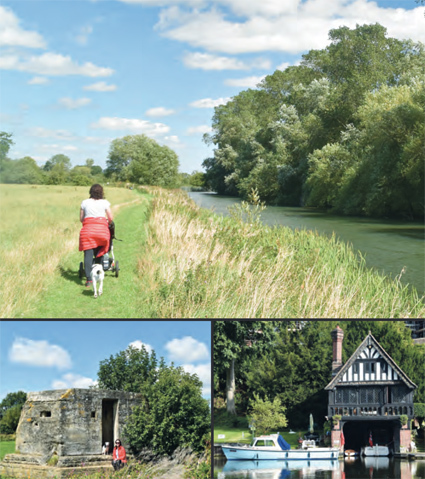 Lechlade, Abingdon, Wallingford, Henley ... they all owe their location to the Thames, and different eras, when the river was a life source, a place of conflict, a boundary, a mode of transport and the provider of leisure, which, thankfully – for us, at least – it remains to this day. Read more and buy the book. 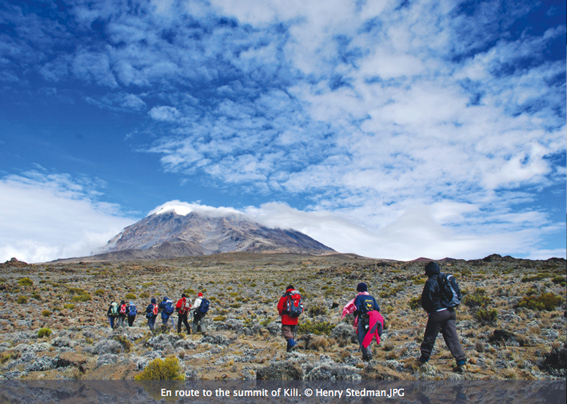 At 5895 metres (19,341ft) Kilimanjaro is Africa’s highest mountain. Yet with no mountaineering skills necessary to reach the summit, even non-climbers can experience the thrill of climbing one of the world’s greatest peaks. Taking you from the dusty plains of East Africa through jungle and moorland to the glacier-clad summit, this is one of the most beautiful and challenging treks there is. The most authoritative and detailed guide to climbing Africa's highest mountain.